The distinguishing characteristic of this method of marketing is that the direct seller or retailer initiates contact with the potential customer instead of waiting for the customer to come to a store or some permanent place of business. The direct seller or direct retailer, therefore, is a person who sells consumer products and renders a service by direct personal contact with the consumer – usually, but not always in the consumer’s home. In Malaysia, direct selling or direct retailing is a diversified business with sizeable product categories. It is increasingly becoming a significant distribution channel within the country’s total retail enterprise system. It offers a high growth alternative to a retail system, still lagging behind in accommodating the changing and busier lifestyle of Malaysian consumers. While both methods have various price mark – up at each distribution level, the conventional method impose an additional 11% mark-up or so for advertising and promotion. While some direct sellers/retailers may be employees of a direct sales company, authorised to act for the company in business matters, most direct sellers/retailers are independent business operators or self-employed – they enjoy the advantage of deciding when and how much time will be devoted to selling the company’s products. 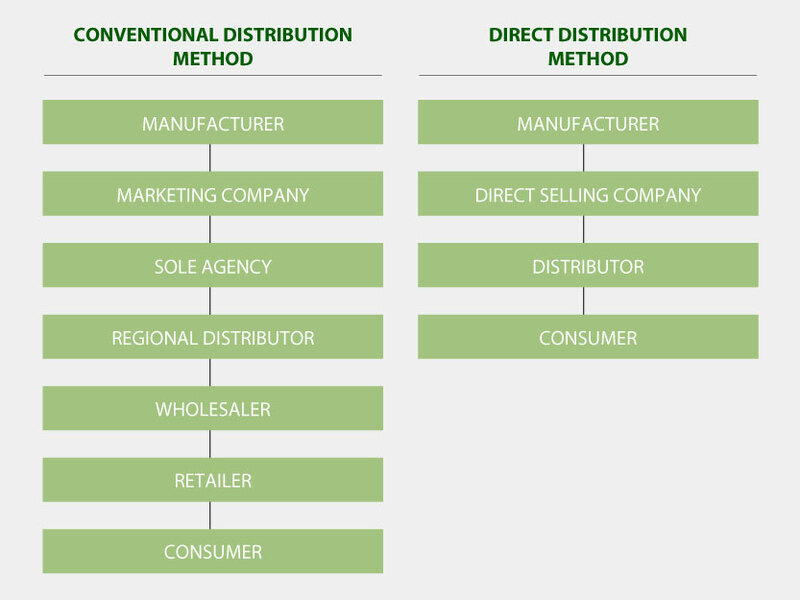 And while there is a multitude of direct selling companies in Malaysia, they basically, fall into four categories. In this type of plan, the agent or dealer obtains an immediate discount from the company, at the point of purchase. He then makes a profit by selling the product to the consumer at the recommended retail price. The line of distribution in such plan is simple, involving the direct sales company, the dealer and the consumer. In some cases, the “dealer” or “agent” is a salaried employee of the company. Under this type of plan, the direct seller or retailer arranges with a friend who shall act as “hostess” to invite a group of friends for demonstrations of a product or products. In the course of this “party”, orders are received for products. The “hostess’ receives merchandise/products as compensation for the use of her home and her help in getting their friends together. 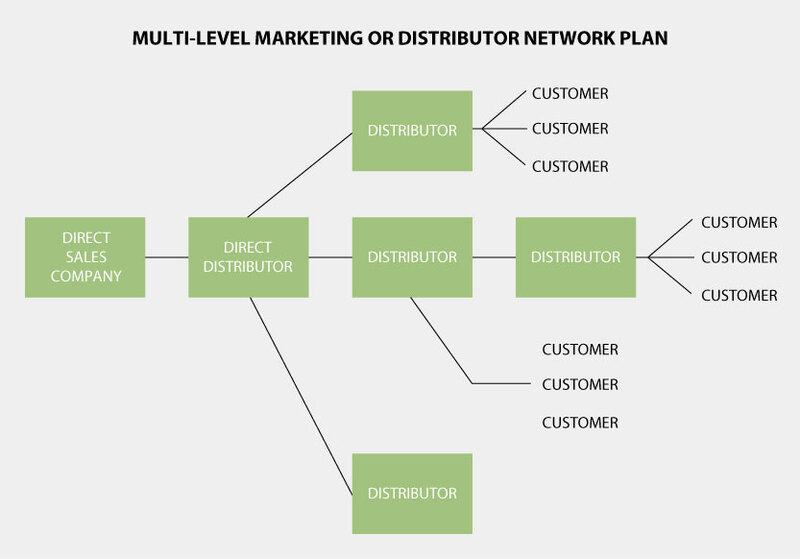 This plan allows the direct seller to manage and service a large direct retail network or distributor network. Those interested in this plan must first be sponsored by an existing distributor of the company. With the help of this distributor, he then builds his monthly sales volume to qualify for higher monetary incentives and higher level of recognitions. At direct distributor level, he functions both as a wholesaler and retailer, purchasing products in bulk from the company and distributing them to his distributors who in turn sells them to the customers. All income earned by a distributor is based upon the volume of sales and no other considerations. There is one standard distributor price for products to distributors and one standard retail price for products to customers.